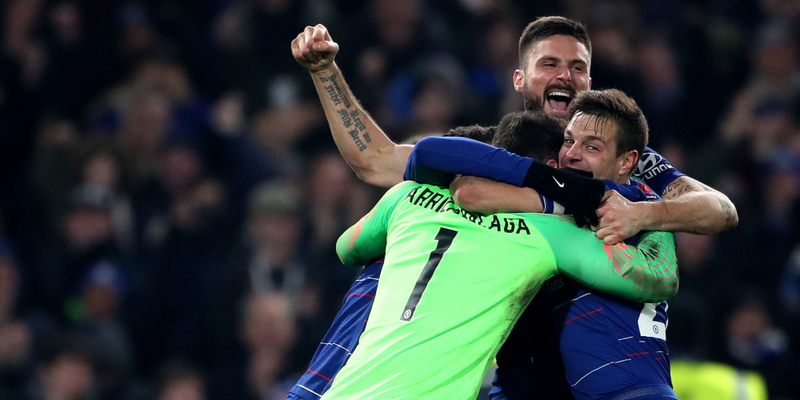 Chelsea won on penalties to reach the final of the Carabao Cup final. David Luiz converted the winning penalty for the Blues, who will face Manchester City in the final at Wembley – Chelsea’s 15th final in 16 seasons. Goals from N’Golo Kante and Eden Hazard put them in the driving seat in the semi-final clash at Stamford Bridge before Fernando Llorente hit back for Tottenham. But Chelsea prevailed, scoring all their penalties before Luiz took the decisive kick. 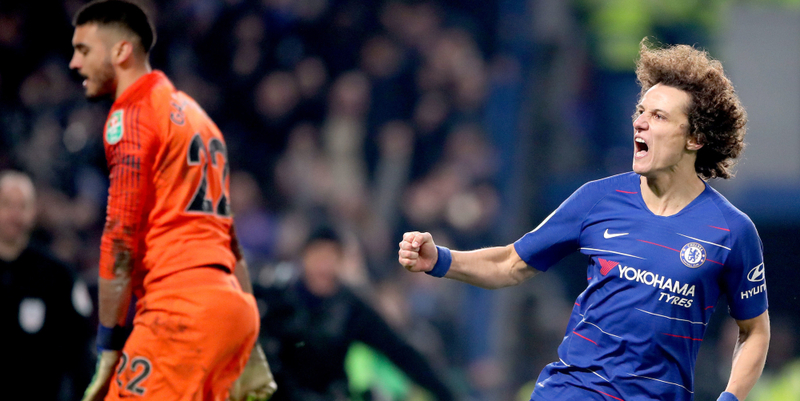 The Blues, 1-0 down from the first leg, made a lively start to the second leg and were rewarded when Kante’s 27th-minute goal levelled the tie. After injury-hit Tottenham were unable to fully clear Hazard’s corner, Kante’s shot went through the legs of two Spurs players and keeper Paulo Gazzaniga. And Hazard struck in fine style 10 minutes later – the Belgian’s 13th goal of the season. He was involved in the build up, collecting Ross Barkley’s quickly-taken free-kick and finding Pedro on the right. Pedro nudged the ball to Cesar Azpilicueta, who pulled it back for Chelsea’s talisman to fire home. The Blues were well on top but Spurs were transformed after the interval and scored five minutes into the second half. Danny Rose had acres of space on the left and Llorente shrugged off Luiz to head home the England full-back’s cross. Worse almost followed for Chelsea when Llorente missed a great chance to score again when he was unable to connect properly with Christian Eriksen’s magnificent ball in to the striker. That proved to be a costly miss for Spurs, who missed two of their penalties in the shoot-out. Eriksen and Erik Lamela netted but Eric Dier blasted over and keeper Kepa Arrizabalaga saved from Lucas Moura. Chelsea had no such problems, with Willian, Azpilicueta and Jorginho scoring before Luiz coolly took them through. Chelsea: Kepa, Azpilicueta, Luiz, Rudiger, Emerson, Jorginho, Kante, Barkley (Kovacic 80), Pedro (Willian 75), Giroud, Hazard. Subs not used: Caballero, Ampadu, Alonso, Hudson-Odoi, Piazon.